The 2018 Toyota Yaris hatchback with a new front and restyled rear for a wider look and stance comes in three-door and five-door body styles in three grades, the three-door L and LE, and the five-door Sporty SE. will now be equipped standard the Entune™ Multimedia Bundle with a 6.1-inch touch-screen display, AM/FM CD player, MP3/WMA playback capability, six speakers, auxiliary audio jack, USB 2.0 port with iPod® connectivity and control, advanced voice recognition, hands-free phone capability, phone book access and music streaming via Bluetooth® wireless technology, and Siri® Eyes Free. 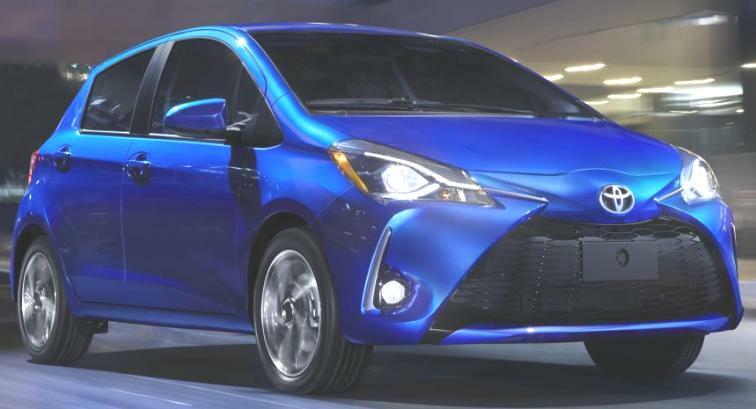 The 2018 Yaris will be available this Summer. The 2018 Toyota Sienna, powered by a 296 horsepower 3.5-liter V6, is available in L, LE, SE, XLE and Limited grades with available all-wheel-drive. Safety features include Pre-Collision System with Pedestrian Detection, Full-Speed Range Dynamic Radar Cruise Control, Lane Departure Alert with Steering Assist and Automatic High Beams. The 2018 Sienna will be reaching Toyota dealerships in the Fall of 2017. The 2017 Acura MDX Sport Hybrid, with a total system output of 321 horsepower, has more than 30 additional horsepower and a 45 percent higher EPA city fuel economy rating as compared to the conventionally-powered MDX SH-AWD with its three-motor Sport Hybrid SH-AWD® powertrain, a 3.0-liter and the SOHC i-VTEC V-6 engine mated to a 7-speed dual-clutch transmission. The 2017 MDX Sport Hybrid will arrive at showrooms in early April with a starting MSRP of $52,935 (including $975 destination charge). 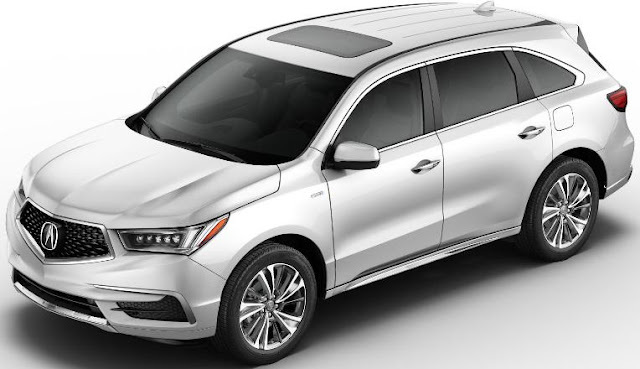 It comes in MDX with Technology Package and the MDX with Advance Package for another $6,040. All 2017 Acura MDX models come equipped with Collision Mitigation Braking System™, Lane Departure Warning, Forward Collision Warning, Lane Keeping Assist, Adaptive Cruise Control with low-speed follow and Road Departure Mitigation. All models also come equipped with a multi-angle rearview camera, and the top grade adds blind spot information, front and rear parking sensors, Rear Cross Traffic Monitor and new Auto High Beam. The McLaren 720S, powered by a 710 horsepower new, twin-turbocharged 4.0-liter V8 engine that accelerates from 0-60mph in 2.8 seconds to reach a maximum speed of 212mph, is lighter, faster and even more dynamically capable than its McLaren 650S predecessor. Hyundai FE Fuel Cell Concept is Hyundai's fourth generation of hydrogen fuel cell technology and when compared with the current generation system used in the Tucson ix35 Fuel Cell, the new technology is 20% lighter, and achieves 10% greater efficiency. In addition, the power density of the fuel cell stack is increased by 30%, boosting the car’s range significantly. Elements of the FE Fuel Cell Concept will influence an SUV Fuel Cell model set for launch in 2018, which will feature advanced ‘Hyundai Smart Sense’ driver assistance technologies, alongside an extensive hydrogen-powered range. The new Volvo XC60 powered by a 400 horsepower T8 Twin Engine gas plug-in hybrid at the top of the powertrain range delivers acceleration from 0-62 mph in 5.3 seconds. Steer Assist has been added to the City Safety system and a new safety system called Oncoming Lane Mitigation uses steer assist to help mitigate head-on collisions, while Volvo’s Blind Spot Indication System now uses Steer Assist functionality to reduce the risk of lane-changing collisions. The new XC60 is set to go into production in mid-April at the Torslanda Plant in Sweden. The 2018 Lexus LS 500h, the full hybrid version of Lexus’ new flagship sedan, with a 3.5-liter V6 Dual VVT-i gasoline engine and two electric motors together delivering maximum system power of 354 horsepower. The Lexus Multi Stage Hybrid System Compact, lightweight, lithium-ion hybrid battery is 20 percent smaller with a higher power density than the current LS 600h L and at 123 inches, the wheelbase of the new LS is 1.3-inches longer than on the current long wheelbase LS 600h L.
The 2017 Honda Civic Type R, powered by a 306 horsepower 2.0-liter i-VTEC® DI TURBO delivering 295 lb-ft. of torque mated exclusively to a short-throw 6-speed manual transmission with rev matching capability, shares the body style of the 5-door hatchback variant and is slated to go on sale in the U.S. in late Spring with an MSRP in the mid-$30k range. The Aston Martin Valkyrie, co-developed by Aston Martin and Red Bull Advanced Technologies. 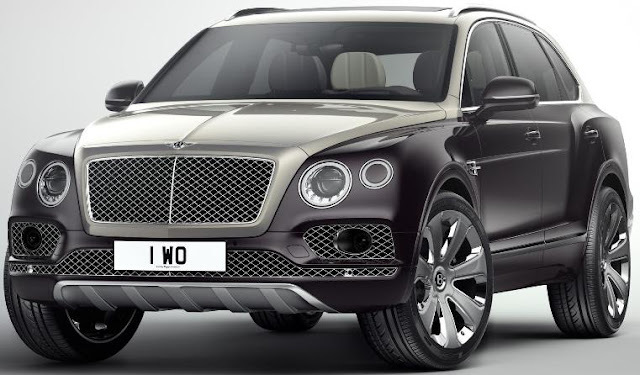 Bentley Bentayga Mulliner with a 600 horsepower 6.0-liter W12 engine with a 0-60 mph time of 4.0 seconds and a top speed of 187 mph will be available to order this Spring. Features include Bentley Dynamic Ride which instantly counteracts lateral rolling forces when cornering, the Naim for Bentley Audio system with twenty speakers driven by a 1,950-watt, 21-channel amplifier, and a remote-controlled Parking Heater function that allows the interior to be heated or cooled when the engine is switched off, while electric rear window blinds and a double sun-visor are also available with the Sunshine Specification. Standard driver assistance features include Park Assist, Lane Assist, Adaptive Cruise Control, Traffic Assist, Night Vision and a Head-Up Display. The all-new 2018 Mercedes-Benz E-Class Cabriolet, powered by a 3.0L V6 biturbo engine mated to the 9G-TRONIC nine-speed automatic transmission, has a soft-top that can be fully opened and closed in 20 seconds when travelling at a speed of up to 30 mph. The four-seat convertible offers 4MATIC all-wheel drive and an AIRCAP® and AIRSCARF® neck-level heating system to enhance comfort when driving with the roof down. The new E-Class Cabriolet has grown in length, width and wheelbase with a vehicle length of 190-in, a width of 73.2-in and a height of 56.2-in. The all-new 2018 E-Class Cabriolet will go on sale in the U.S. by the end of the year. General Motors (Chevrolet, Buick, GMC, Cadillac) total sales were 237,388, up 4 percent. Ford Motor Company U.S. sales totaled 208,440 vehicles in February, a 4 percent decline versus a year ago. Lincoln sales totaled 8,744 vehicles, a 9 percent increase. Toyota Motor North America reported its US February 2017 sales of 174,339 vehicles, a decrease of 7.2 percent from February 2016. Toyota division posted February sales of 156,001, down 5.4 percent while Lexus posted February sales of 18,338 vehicles, down 20.6 percent. FCA US (Chrysler, Dodge, Ram, Jeep, Fiat, Alfa Romeo) reported U.S. sales of 168,326, a 10 percent decrease compared with sales in February 2016. Separately Maserati reported sales of 1,087, a gain of 49 percent over 2016. 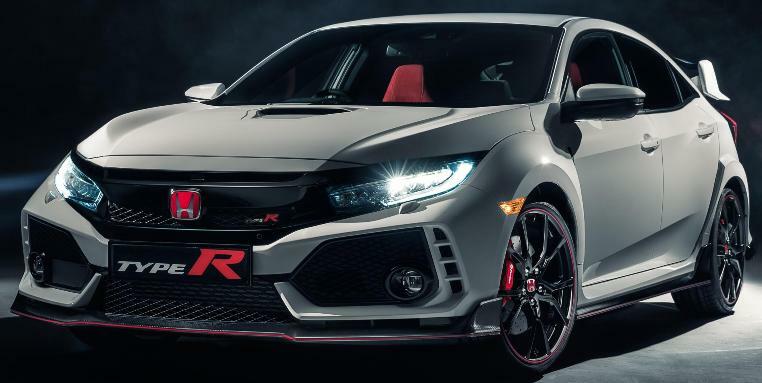 American Honda reported total February sales of 121,686 Honda and Acura vehicles, an increase of 2.3 percent over February 2016 and a new record for the month. Honda Division sales gained 4.3 percent on sales of 110,822 while Acura Division sales were down 14.9 percent, with 10,864 vehicles sold in February. Nissan Group announced total U.S. sales for February 2017 of 135,740, an increase of 4 percent over the prior year and a February record. Nissan Division finished February with 122,003 sales, up 1 percent and also a February record. Hyundai Motor America (Hyundai & Genesis) announced its best February ever, with sales totaling 53,020 for the month, 11 vehicles more than a year ago. Kia Motors America announced February sales of 42,673, a 14.2 percent decrease from 2016. Volkswagen of America reported sales of 25,145 in February 2017, a 12.7 percent increase over February 2016. With 48,655 units delivered year-to-date in 2017, VW is reporting an increase of 14.7 percent in year-over-year sales. Separately, Audi of America’s February sales increased 17 percent to 13,741 vehicles. Through the first two months of 2017, Audi U.S. sales have risen 14 percent to 26,942 vehicles. Mercedes-Benz reported the highest February sales in its history with 24,522 units up 6.9 percent from February 2016. Adding 2,513 units for Vans and 348 units for smart, Mercedes-Benz USA achieved its highest February to date with a grand total of 27,383 vehicles, up 6.8 percent from a year ago. Mazda North American Operations reported February U.S. sales of 22,824 vehicles, representing an increase of 5.9 percent versus February of last year. Year-to-date sales of 44,522 through February are up 7.9 percent versus last year. Sales of BMW brand vehicles increased 0.3 percent in February for a total of 22,558. Year-to-date, the BMW brand is up 0.2 percent in the U.S. on sales of 40,667 vehicles compared to 40,580 sold in the first two months of 2016. Mitsubishi Motors North America reported February 2017 sales of 10,924, an increase of 38.8 percent over February 2016. Jaguar Land Rover North America reported February 2017 U.S. sales for both brands hit 9,231, a 16 percent increase making it the best ever Jaguar Land Rover February sales month. Jaguar sales were 3,484, a 130 percent increase while Land Rover sales reached 5,747, down 10 percent. Volvo Car USA reported U.S. sales of 4,651 vehicles for the month of February, an 11.6 percent decrease. Year to date sales are down 14.5 percent. Porsche Cars North America announced February 2017 sales of 3,637 vehicles, up 2.1 percent over February 2016. Year-to-date Porsche recorded 8,239 vehicle sales, a 4.1 percent increase over the same period last year.